We e-file for a quick turnaround of your refund. We specialize in those who are self-employed or have rental suite income. Not filed taxes for a while? We can help you deal with CRA issues, and get you caught up. Starting out in your new business? We assist sole proprietors to medium sized corporations to learn the basics to get up and running. For Sole Proprietors, we complete and file your statement of business activities attached to your personal tax return. 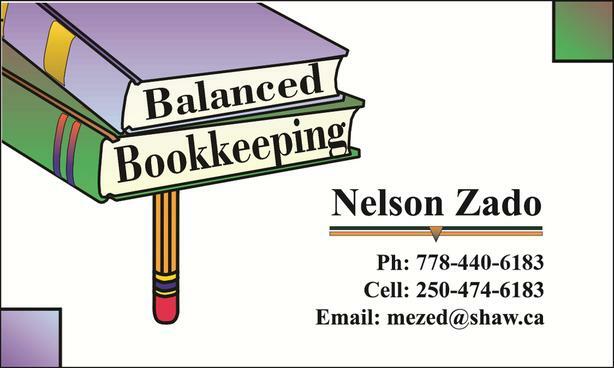 Corporate clients save on accounting costs by having your books as complete as possible before going to the accountant. If you don't have professional advice, talk to us. In helping you better understand your financial position, you are free to focus on growing your business... and your bottom line.